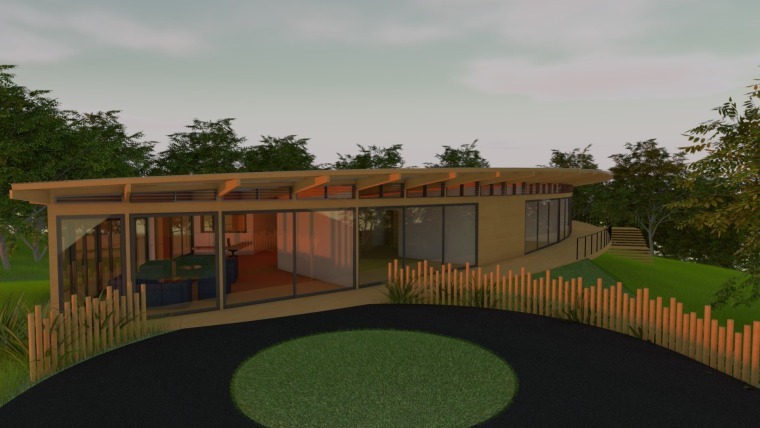 A world first in early childhood education has been announced – a fully-inspired Gaia based childcare centre inside a one-acre lush NZ native forest. A world first concept in early education to be opened in Auckland was unveiled by a New Zealand academic and Early Childhood Education practitioner Dr Darius Singh at a recent international conference. Former university professor of engineering and technology management Dr Singh and wife Nikeeta Singh presented their plans at the International Conference for Education Research and Innovation in Seville, Spain. The conference was designed to promote new trends in education and their presentation covered the Gaia (Earth) based education principle, which forms the core platform for their four award-winning early learning centres in Auckland and Tauranga. 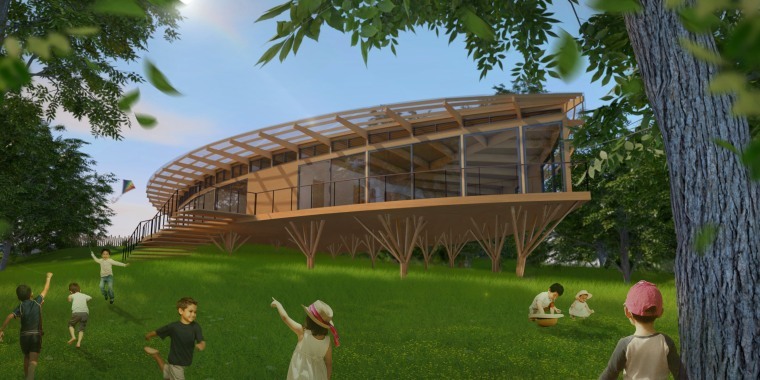 They presented what will become a world first in early childhood education – a fully-inspired Gaia based childcare centre inside a one-acre lush New Zealand native forest. The architecturally designed building is in the shape of a giant leaf and will be a living, breathing and self-powered entity, operating with sustainability principles of solar energy, rainwater harvesting, recyclable and sustainably sourced building materials, natural ventilation and underground earth-heated systems. Design elements from nature will also be integrated into construction of the building using a technique called biomimicry, which models the production of materials, structures and systems on biological entities and processes. Dr Singh and Nikeeta Singh have nearly 40 years of combined experience in research and education. They believe we need to do more to foster the next generation’s appreciation and future guardianship of the world around them. “Our children are becoming more and more detached from the natural world and losing an intimate understanding and connectivity to the planet and all natural and simple things. They are the victims of a new consumer age with the highest rates of consumption and waste ever, and a new hybrid age where digital technology is ubiquitous and embedded in our society,” says Dr Singh. “We have a generation of children who believe carrots and potatoes grow on trees, milk comes from a fridge and who try to swipe across the pages of a book"
The new centre will be the culmination of nature inspired design and philosophy which runs through the existing centres Dr Singh owns with Nikeeta, an early childhood educator, manager and teaching mentor. A world first in early childhood education – a fully-inspired Gaia based childcare centre inside a one-acre lush New Zealand native forest. “The day to day activities in the centres focus on providing opportunities to express, emphasise, evaluate and exemplify learning and outcomes through a nature and earth-based lens. The centres also promote core values that link to attributes, qualities and hidden life messages that earth has been showing for 4.6 billion years,” he says. Dr Singh says the concept of Gaia, Mother Earth or Mother Nature has existed in numerous indigenous cultures around the world for thousands of years - including that of Native American, Maori and Pasifika peoples, where nature and earth connectivity still form a part of who you are. “It’s not enough to simply learn about nature, we must learn from nature, in nature." “Anecdotally, kids seem to be distracted more, they seek instant gratification and they need to put in extra energy to simply sit still and focus. The easy "fix it" is to look at further engineering marvels or medical approaches and more technology to counter the root cause, when all we need is to go back to basics,” he says. Free play in the forest, a mudslide for older preschoolers and shallow streams throughout the site, complete the experience. 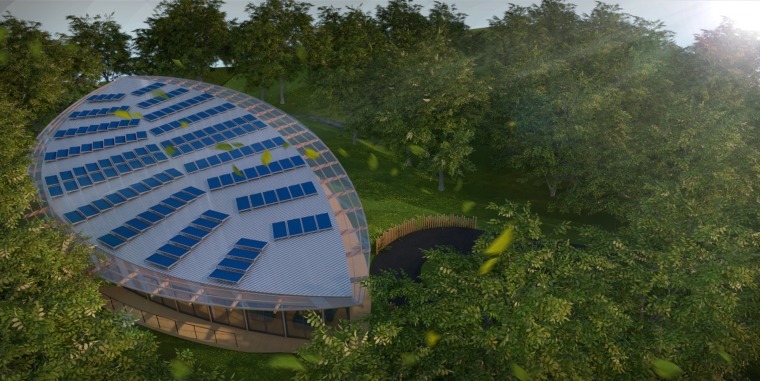 The Chrysalis Group’s Gaia inspired centres are solar powered and harvest rainwater from the roof to supply outdoor play streams, gardening needs and all bathroom and laundry water systems. The new Secret Forest building will have this too, but with additional features. Heating of the centre will come via an underground coil liquid heating system, warmed in summer to draw thermal energy from in winter. “The Secret Forest will spring upwards like a giant leaf-shaped treehouse and internally it will feature a biomimicry inspired design shaped like a Nikau palm leaf, which children can see from the ceilings in each room,” he says. 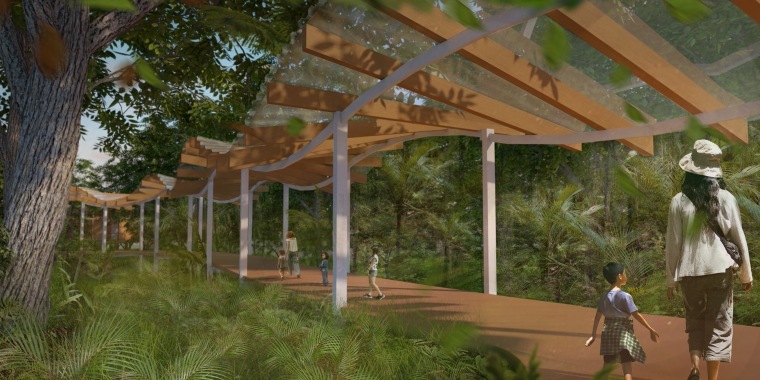 “Children, teachers, parents and caregivers will have a total immersive experience in a New Zealand native rainforest, with a forest walkway for them to travel away from the car park and city into another world. Free play in the forest, a mudslide for older preschoolers and shallow streams throughout the site, complete the experience,” he says. Dr Singh was one of the presenters from 80 countries speaking at the conference with more than 2,000 delegates in attendance. They have also been invited to speak at the International Conference for Future Learning in December in Barcelona.